Los Angeles, CA – June 6, 2016 – (GuitarPR) – TedGreene.com, the official archive site of legendary guitarist, Ted Greene, has announced the posting of previously unreleased recordings by Ted in 1975. The collection of 18 tracks was recorded at a private event and is now available for download. In the spirit of Ted, the downloads are free and include both mp3 and WAV files of all 18 tracks – over 90 minutes of music. The site, which has been supported by donations for over 10 years following Ted’s untimely death in 2005, asks for a minimum donation of $15 to help keep the site up and running. Background and more information about the recordings and the event is available on the June, 2016 Ted Greene Newsletter. The tracks are available for listening and download at: http://tedgreene.com/audio/audio_TedGreenePrivateConcertSilvermans.asp. 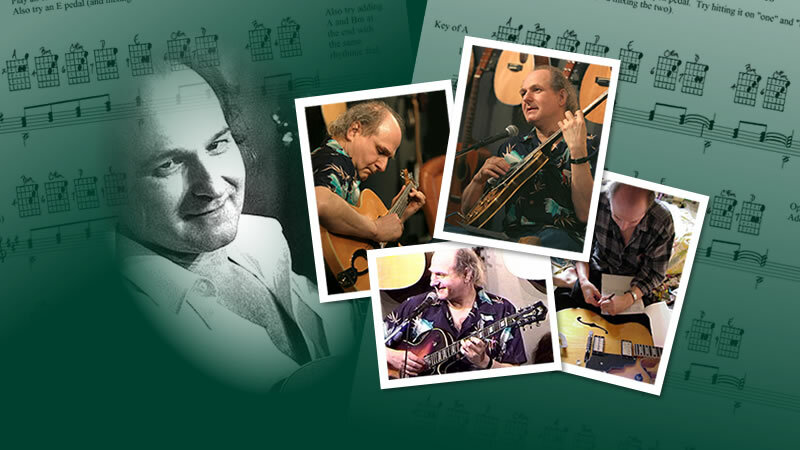 Ted Greene is renowned worldwide as the author of “Chord Chemistry,” one of the most in-depth studies of chord harmony and theory ever published for guitar. Ted was also a brilliant, innovative and diverse guitarist capable of playing dazzling solos from jazz to neo-Baroque improvisation. Yet his chosen and most beloved path was as a teacher. He was highly sought out for his insightful and instinctive gifts in this area. As a testimony to his teaching abilities, for many years there remained a long list of guitarists waiting for an opening in his schedule.